One of them has also been a commission from a friend to make a proper Romana Frock Coat for his wife! Like a few of my other commissions, the request has been slightly left-field from the original: rather than in PINK it is to be in a cornflower blue; plus I need to make it for a larger dress form - all of this is easily done, but it just takes a bit of attention and application to make it work. Firstly the fabric is fairly easy. 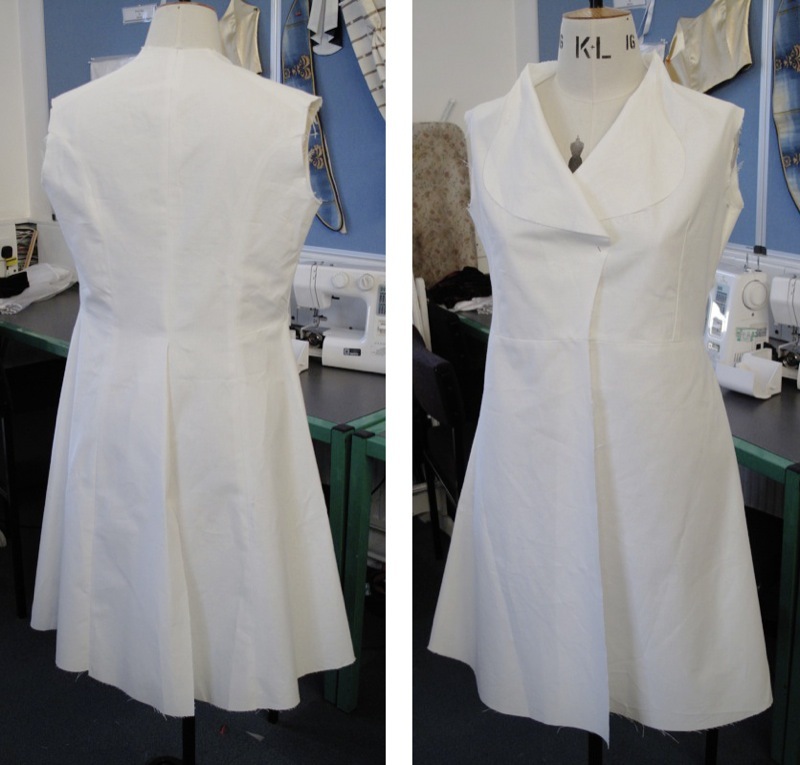 I am using my new supplier who I have been working with on the Six Frock Coat. He can dye short-run wools for me to match my exact colour requirements. I then need to adapt my pattern block to fit the shape I require. To recap, the work I have done so far on my Tom Baker coat involved creating a block true to Lalla Ward’s size from the pattern trace I took. I then went through a couple of rounds of pattern grading to bring it up to a male form size. Lalla Ward was literally a size zero and the Pink Frock Coat she wore was tiny. For this commission I will need to create a block to the same vertical dimensions, but increase the girth by grading it accordingly. 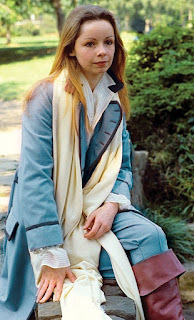 My starting point where I will jump back in will be the original Lalla Ward block. I had already done an initial enlargement of the block by using focal points, from which I projected the pattern shapes larger. Luckily for me when making the Tom Baker block, Lalla Ward is fairly flat chested, so there was negligible bust allowance to remove, but now I need to go the other way and build it in to create a proper bust shape. But before I can do that I need to size the block up further. This time round my tutor favours a slicing and dicing technique. You can see here the basic pattern block I had previously created. On this I have drawn certain vertical and horizontal lines, centred at the levels through which I intend adding the size changes. I was a little bewildered by how to make the slicing method work for me, and how to blend the edges of the revised shape once it had been done, but with some coaching I got what it was about and was soon slicing and dicing my way through the pattern! The resizing is achieved by retracing the pattern off, and when you encounter one of the blue lines you trace the line, shift the new pattern by the desired amount parallel to the line, then carry on tracing the rest of the pattern. There is inherently a level of generalising and smoothing needed to reconcile the new shapes, but once done the capacity is successfully added. Next up will be including a bust allowance - something I’ve never needed to do before. That will be interesting . . . .